Fantastic horizons of liberty and freedom await us- When we let loose our imaginations to see them. In this third volume of The Clarion Call, fifteen authors weave stories across a myriad of wondrous worlds, sharing visions of heroism, freedom, rebellion, and sacrifice. In this collection of liberty themed fantasy are tales of: Technology imbued with magic; Mythical beasts of the Air, Earth, and Water; Personal quests and world changing upheaval; Purpose, choice, responsibility, and discovery. These are the stories of imaginations Unbound. The Agorist Writers’ Workshop is thrilled to announce the publication of The Clarion Call, Vol. 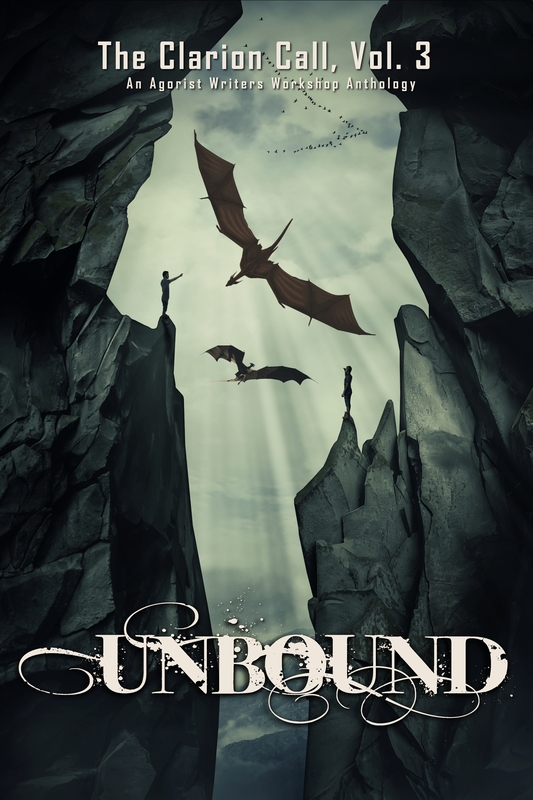 3: UNBOUND. Pick up your copy today! Paperback and Kindle ebooks are available through Amazon. Other digital formats are available from SmashWords. Click and swipe for a free preview!